From the Booker Prize–winning author of The Regeneration Trilogy, an acknowledged masterpiece of modern fiction, Life Class is an exceptional new novel of artists and lovers caught in the maelstrom of the Great War. 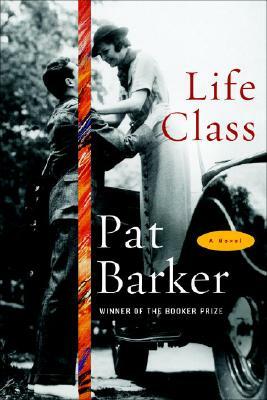 In Life Class, Pat Barker returns to her most renowned subject: the human devastation and psychic damage wrought by World War One on all levels of British society. Her skill in relaying the harrowing experience of modern warfare is matched by the depth of insight she brings to the experience of love and the morality of art in a time of war. Life Class is one of her genuine masterpieces. What do the novel's opening scenes at the Slade evoke? What motivations collide (and coincide) among the students, Tonks, and the model? How did your perception of Paul evolve throughout Life Class? How does his temperament differ from Kit's? Discuss the varying quests presented by the novel's lovers. What are Paul, Kit, Elinor, and Teresa seeking in the initial chapters? How do their notions of fulfillment speak to the version of early twentieth–century London that is presented in Life Class? Did you believe Teresa's statements about Halliday, or were you as skeptical as Paul? Is there any way she could have escaped her painful past? What changes when the novel's point of view shifts to Elinor's in chapter twelve? What are the greatest contrasts between the way she sees the world and the way she sees her place in it? How would you characterize Elinor's relationship with her parents? How do they respond to her defiant acts, such as the cutting of her hair? To what degree is she shaped by her siblings' lives? On their bicycle ride through the cemetery (chapter twelve), Elinor wonders about the "real" relationships that existed behind the artificial lives of those buried there. In the same scene, Kit thinks to himself that Paul is mistaken about seeing the "real" England. Where do the boundaries of real life and façade lie for these three characters? Do they use art as a means for capturing or defying reality? How is sexuality used throughout the novel? Where does the body intersect with an emotional world as Life Class progresses? What did Elinor's virginity signify to her? How does the memory of Paul's mother affect his ability to form relationships? What remains unspoken in Paul and Elinor's letters? What versions of themselves are they able portray on paper? What has been lost and gained by the use of e–mail between couples separated by warfare? How is the characters' art described in the aftermath of Ypres? How do their images reflect the literary images created by Pat Barker's words? What is Tonks attempting to teach his students? To what extent can an artist be taught? How were you affected by the novel's acknowledgments section, which describes the real–life Henry Tonks and the tandem between life drawings in medical modes and for art's sake? What does fiction lend to the process of understanding significant chapters in history? What can novelists achieve that journalists can't, in terms of evoking history? Discuss the novel's title. How does the notion of class as an aspect of social hierarchy apply to the characters? In terms of a class designed for instruction, what did Paul, Elinor, and Kit learn about the nature of life? How were they tested over their "lessons"? What were the most significant Life Classes you endured? Which historical aspects of Life Class were most surprising to you? How did you react to the concept of a drawing class segregated by gender, or the fact that divorce criteria differed between husbands and wives? Had you been aware of the internment of Germans in Great Britain, exemplified in Catherine Stein's story? What emotional threads are woven throughout the Regeneration Trilogy and Life Class? In terms of power or essence, does the response of a visual artist differ from that of a poet in the face of wartime atrocity?